TSG has an exclusive pool of more than 4500 certified auditors PAN India. We cover more than 20 cities in India on a monthly basis including the tier 4 & 5 cities. 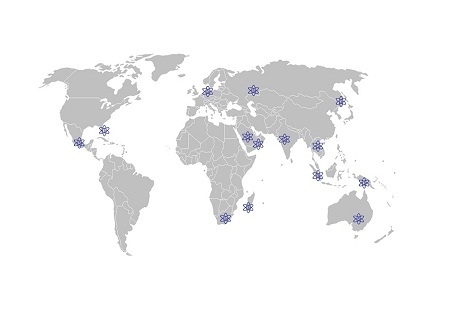 TSG has a strong reach in the IMEA region. Some countries which we cover on a montly basis are : UAE, Saudi Arabia, Iran, Singapore, Malaysia, Philippines, Australia, Pakistan, Bangladesh, South Africa etc.